1. What is Crescent Moon Gifts? Crescent Moon Gifts is many things to different people. To some it is a great place to support a small business and pick up a unique gift, To others it is a place where they come to have their spirits lifted when they are having a bad day or feeling down (I have been told that when they come in and experience the music, the scent and the “vibe” they always immediately feel better), and to others it is a place where they can learn about different cultures and mythologies, or have their “woo-woo” questions answered without anyone looking at them funny. 2. What can you tell us about the new location? 3. What’s the most misunderstood thing about your shop? That it is sometimes labeled as a “New Age” store, and only appeals to that type of clientele. I don’t actually give my store a label, when people come in and ask me what “type” of store it is, I always ask them to tell me what they think. I have heard so many different answers: “the fairy store”, “the shop with great incense”, “my favorite place for tea”, etc. We have an expansive and diverse client base appealing to people of all ages, religions, and genders. 4. What’s your favorite thing about Crescent Moon Gifts? Crescent Moon is where my imagination comes out to play. When setting up the themed areas in the store I get very in touch with my inner child. That sense of wonder, magic and playfulness that many don’t get to experience in their day to day adult life. I strive to create an atmosphere that immediately takes people off guard and transports them out of the “norm”. I want them to come in and not have to worry about the stress of everyday life, the bills they have to pay, the errands and chores they have to do, etc. I want them to relax and remember that life is here to be enjoyed, and their spirit needs to be nurtured. I just love it when people walk in and immediately their eyes get wide, they do a double take, smile and say “WOW”. Every time someone says “I just found my new favorite store!” I feel like all the hard work, and many hours put in to running a small business is all worthwhile. 5. What’s next for Crescent Moon Gifts? Even though it’s been 10 years I feel like we are always growing and evolving, if not in size (hopefully we are now in our forever home), then in offerings to our community. We are just getting settled in now, but I do plan on hosting some of our larger events like the Spring Fairy Festival (www.springfairyfestival.com) right here on site making it a free outdoor event; partnering with the 6th Ave. business district to host more community events throughout the year to increase the foot traffic to neighboring businesses, and I plan on adding an e-commerce aspect to our business in the next year or so as it has been the #1 request from customers over the years. 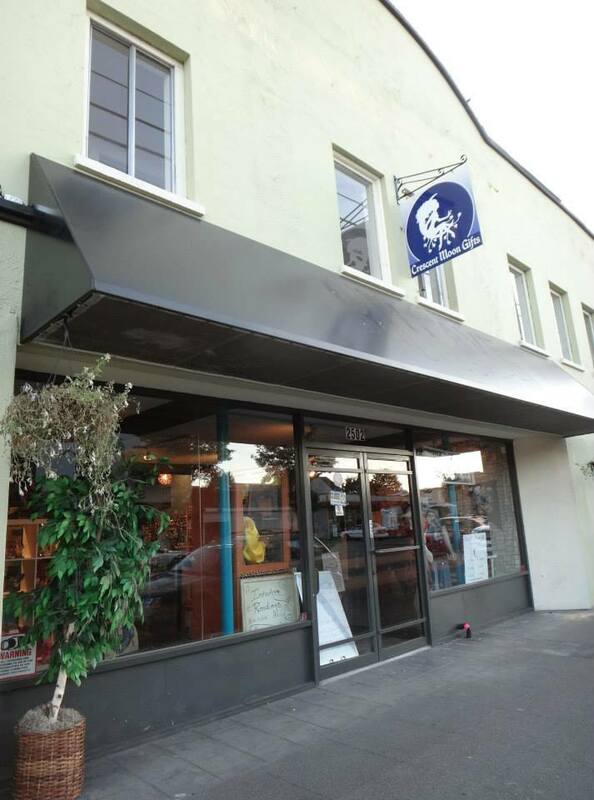 You can visit Crescent Moon Gifts in their new location at the old Sunset Theater at 2502 6th Ave. Thanks to Angela for participating in 5 Question Friday. If you or someone you know is interested in joining me for 5 Question Friday, email me at jackcameronis@gmail.com.